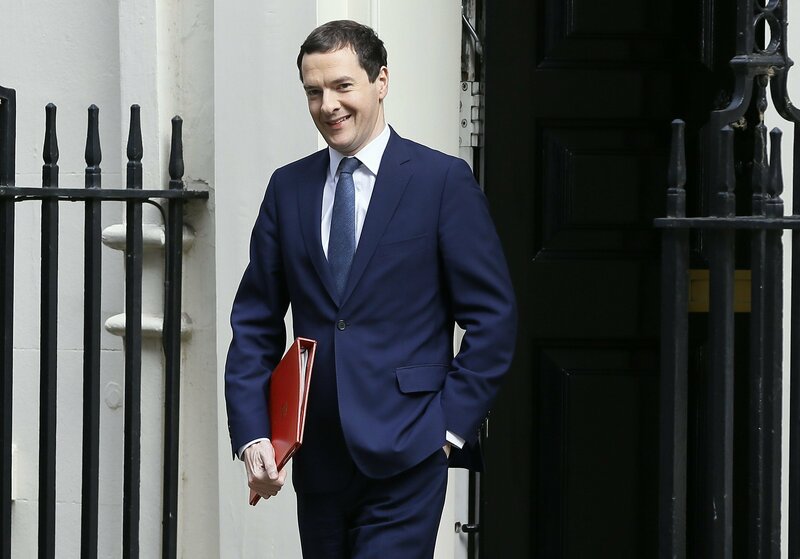 London’s Evening Standard paper, edited by former Conservative Chancellor George Osborne, agreed a multi-million pound deal with six 'blue chip' firms - including Google and Uber - to provide them with extremely positive news coverage, according to an openDemocracy investigation. The project, 'London 2020', is being directed by Osborne personally, and represents a historic corruption of the 'Chinese wall' that should theoretically exist between a paper's editorial and commercial departments. Paying clients will receive "numerous news stories, comment pieces and high-profile backers" in the Evening Standard, with concerted campaigns conducted in tandem with the firms' own planned communications and marketing strategies. The Standard told the firms involved other media outlets would also likely pick up the "favourable" paid-for stories too. Britain's then Chancellor of the Exchequer George Osborne leaves 11 Downing Street, in London for prime minister's questions, Wednesday, July 13, 2016. If the strategy goes ahead as planned June 5, readers of the Evening Standard — the UK's fifth-largest newspaper by circulation, at almost 900,000 — will be unaware whether a story they read is in fact "favorable" reporting, paid for by a major international company. The openDemocracy investigation documents how a group of leading companies were given a detailed sales presentation by Evening Standard executives at the paper's Kensignton offices. Those who eventually signed up for the deal — paying US$670,000 (£500,000) for the privilege — included Google, which has been under fire worldwide for its tax avoidance activities for some time. In March 2018, it was announced the company would pay UK corporation tax of US$67 million (£50 million), its highest ever — despite UK sales totalling US$7.63 billion (£5.7 billion). During Osborne's time as Chancellor under Prime Minister David Cameron (May 2010 — June 2016), critics frequently accused Downing Street of having overly cozy relations with Google, and being too lenient on the tech giant's tax affairs. The decision also comes a mere three years after Google launched the Digital News Innovation Fund (DNI), which has the stated aim of "[combating] misinformation and disinformation" and "[helping] consumers distinguish fact from fiction online." Controversial 'ride-sharing' app Uber is also said to have signed up for 'London 2020'. The company is currently preparing to appeal against Transport for London's decision in September 2017 to to cancel its licence to operate in London, after concluding the company was not "fit and proper" to operate in the capital. In particular, officials were extremely concerned by the firm's approach to reporting serious criminal offences, and use of Greyball, software capable of blocking regulatory bodies from gaining full access to the app and preventing officials undertaking regulatory or law enforcement duties. London taxis block the roads in central London, Wednesday, Feb. 10, 2016. Drivers are concerned with unfair competition from services such as Uber. 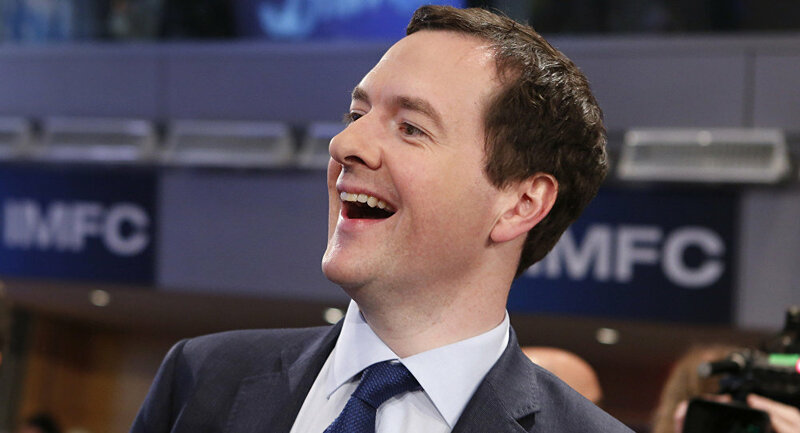 On top of his role as Evening Standard Editor, Osborne is currently a well-remunerated advisor to asset management giant BlackRock, which holds a US$670 million (£500 million) stake in Uber. However, Osborne's schmoozing efforts were not entirely successful — some companies present at the pitch, including Starbucks, rejected the offer and left the meeting. In a perverse irony, famed journalist and author George Orwell — who once worked for the Evening — is often quoted as saying "journalism is printing what someone else does not want printed; everything else is public relations." However, the move is perhaps unsurprising given the Evening Standard's Commercial Director, Jon O'Donnell, said in 2016 the "strict divide" between editorial and advertising at newspapers was "doing more harm than good." 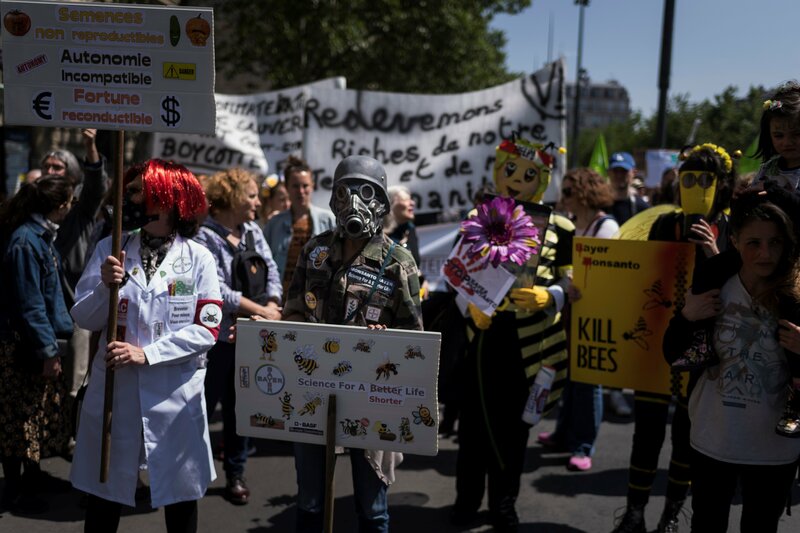 In February, another openDemocracy investigation exposed a similar paid-for deal at the Evening Standard with Swiss bio-chem and agriculture firm Syngenta. Positive news coverage and skewed public debates were part of the arrangement, with the paper running pieces on how GM crops would solve the world's food problems — without mentioning the lucrative deal with the GM-producing agriculture giant. The Evening Standard is far from alone in this regard — an ever-increasing number of media outlets the world over rely on "native advertising", paid-for commercials that give every appearance of being independent news articles. However, traditional commercial arrangements between media organizations and big business — typically in the form of display advertising online and in-paper ads — have long represented a largely unacknowledged conflict of interest, which demonstrably impacts news reporting. For instance, in February 2015, journalist Peter Oborne resigned from the Daily Telegraph for perpetuating "fraud" on its readers, stating there was a "great deal of evidence" that the lines between advertising and editorial had "collapsed." In 2014, Oborne began working on a story about HSBC, documenting how many British Muslims had received letters out of the blue from the bank informing them their accounts had been closed without stated reason or right of appeal. After submitting the story for publication on the Telegraph website, it went unpublished for some time — he was "fobbed off with excuses," and told there was a legal problem with the piece. When he asked the legal department, the paper's lawyers were unaware of any difficulty. When he pushed the point, an executive took him aside and said "there is a bit of an issue" with HSBC. "I researched the newspaper's coverage of HSBC. I learnt the banking correspondent of the Telegraph had published an online story about HSBC based on a report from a Hong Kong analyst who had claimed there was a 'black hole' in the HSBC accounts. This story was swiftly removed from the Telegraph website, even though there were no legal problems," Oborne wrote. 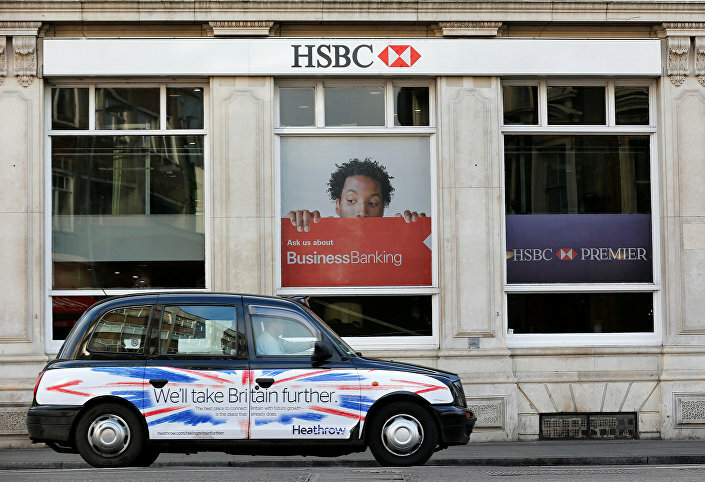 A taxi drives past a branch of HSBC bank in London, Britain, February 9, 2015. Then, on November 4 2014, a number of papers reported a blow to HSBC profits as the bank set aside over US$1 billion for customer compensation and an investigation into the rigging of currency markets. This story was covered extensively in major pieces by most mainstream newspapers in the UK, but the Telegraph's coverage amounted to "five paragraphs in total" on page five of the paper's business section. Another major scandal in early 2015 involving HSBC and its Swiss banking arm's involvement in a wide-scale tax evasion scheme also went largely unreported in the paper, despite extensive coverage elsewhere. Oborne's investigations into the paper's relationship with HSBC found in 2012, the Telegraph's investigations team received a tipoff about accounts held with HSBC in Jersey. After an initial burst of stories, the reporters involved were ordered to destroy all emails, reports and documents related to the HSBC investigation — and any articles critical of HSBC were discouraged — when HSBC suspended its "extremely valuable" advertising account with the Telegraph. One former Telegraph executive told Oborne HSBC was "the advertiser you literally cannot afford to offend," and winning back the HSBC advertising account became an urgent priority. It was eventually restored after approximately one year. Are Mainstream Media Outlets Trying to Silence Independent Voices?